A classic recreation of an Edinburgh Edwardian 19th Century bedroom by Malcolm Duffin Design Ltd proving that there is still a need for classic interior design and decoration. 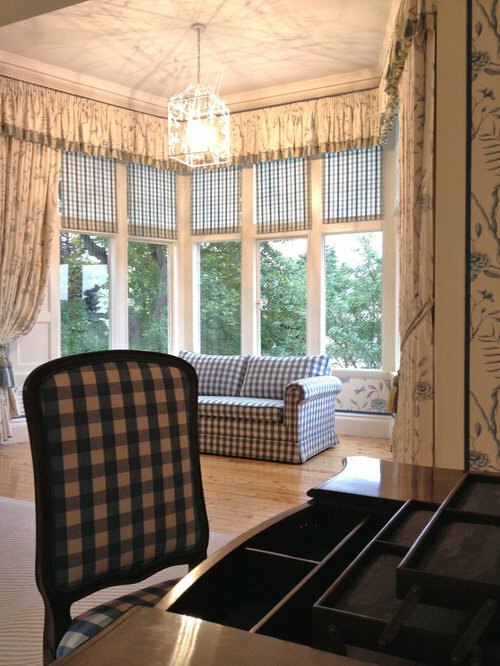 Malcolm Duffin Design - AFTER - Checked blue and white roller blinds and recovered sofa sitting in a light filled bay window add the drama and comfort expected of such an elegant space. 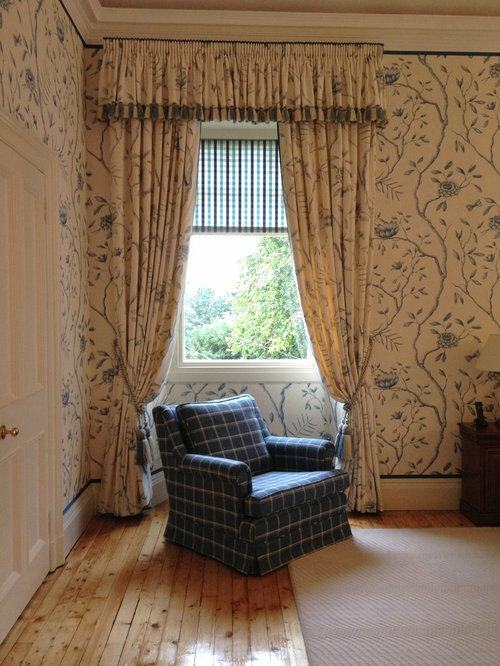 Malcolm Duffin Design - AFTER - Window revealed when bathroom was removed with delightful hand made curtains by our very talented curtain maker and chair restored by Stephen - Edinburgh's finest upholsterer. 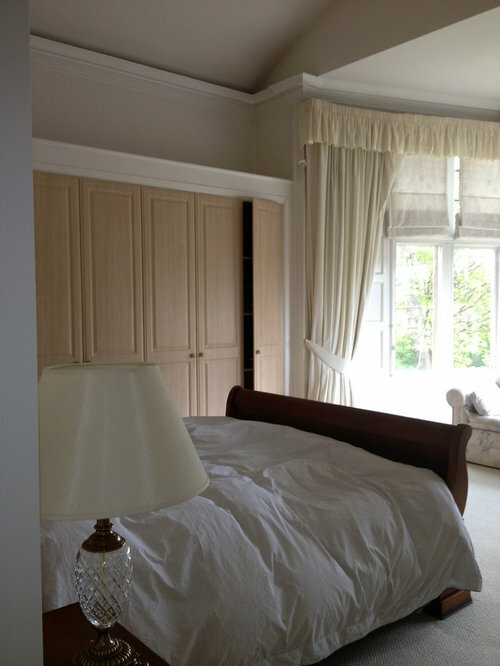 Malcolm Duffin Design - AFTER - We think this is now one of the most beautiful bedrooms we have had the pleasure of working on. 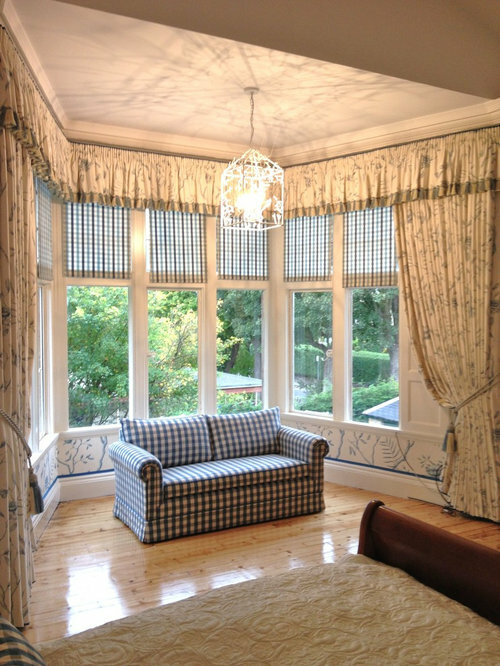 Blue and white block printed wall covering, elegant classic curtains, along with a charming restored oak floor. 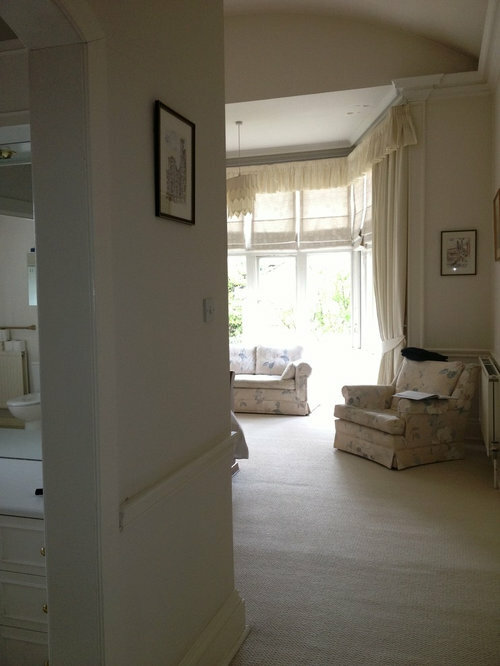 Malcolm Duffin Design - AFTER - We re-upholstered all our client existing furniture along with a few additions namely a dressing table and chair and elegant lantern. 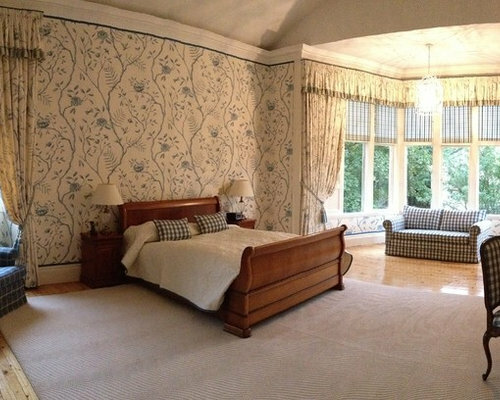 Malcolm Duffin Design - BEFORE - Following poor divisions and many decorative make-overs, this Edinburgh bedroom was in serious need of a considered restoration. 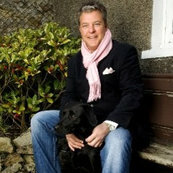 Malcolm Duffin Design - BEFORE - 70's cupboards and windows (originally bronze) were dated and required refurbishing. 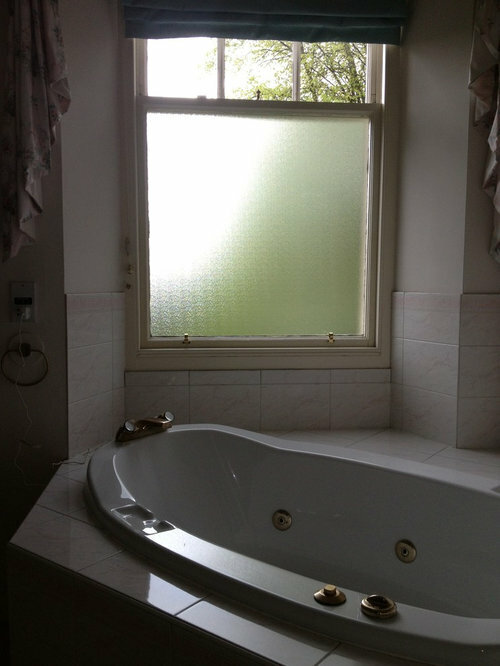 Malcolm Duffin Design - BEFORE - A unsightly 80's bathroom had been formed breaking into the original room space, this was contentious both in historical and practical terms. A decision was made to remove it. 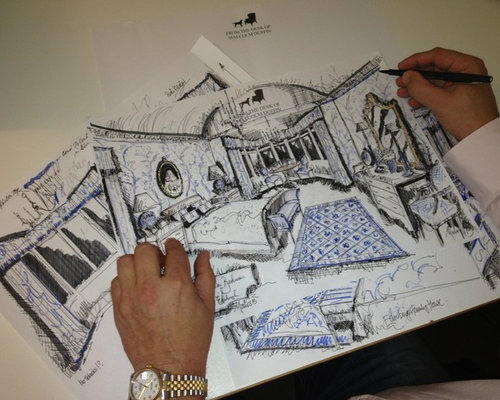 Malcolm Duffin Design - CONCEPT- Malcolm's classic period decorative scheme was to unlock a stunning barrel vaulted ceiling (original) with a dramatic blue and white finishes. Sketched out for the client, work commenced forthwith. 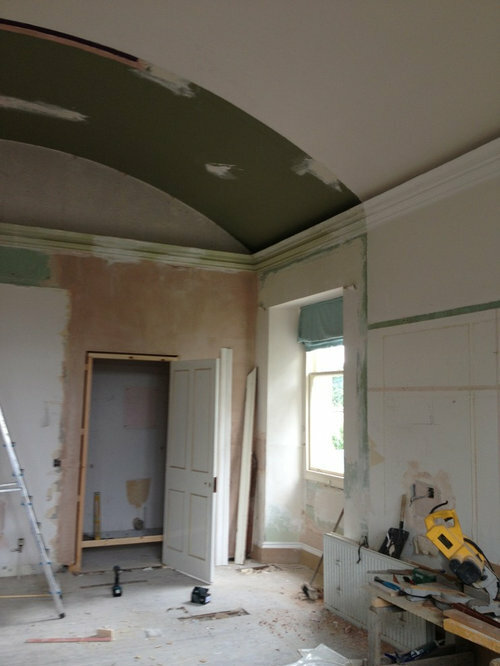 Malcolm Duffin Design - DURING - Removing the bathroom to open up this stunning ceiling and south facing window into the room. 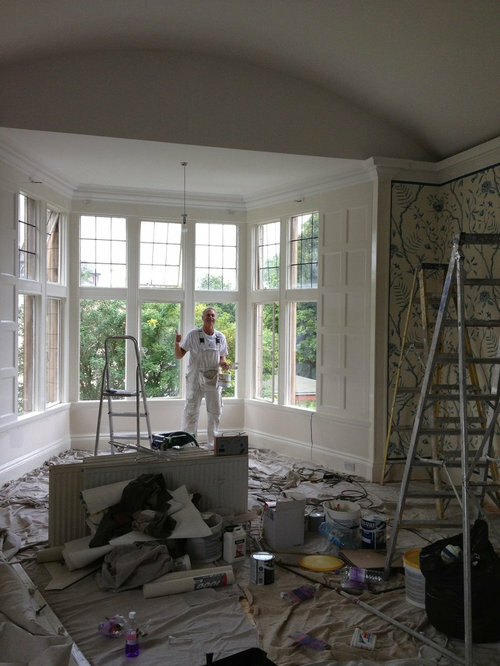 Malcolm Duffin Design - DURING - Their specialist decorator Jim Robertson, during the detailed restoration that included rewiring, plaster work, decoration and soft furnishings.